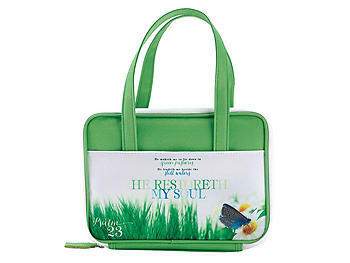 Lovely purse style bible cover that has a springtime fresh look, along with attractively arranged words from Psalm 23. 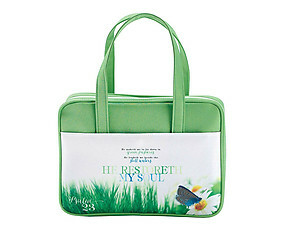 Handy open pocket on front side; purse carrying handles at top. 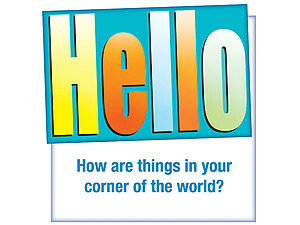 Lies completely flat for easy use. Inside is lined with taffeta fabric, with pen loop and ribbon bookmark attached. 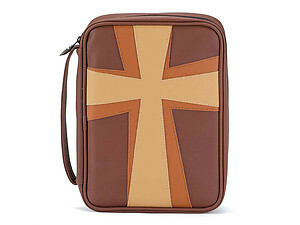 Extra large size; holds a Bible or book up to about 6 1/2" x 9" x 1".